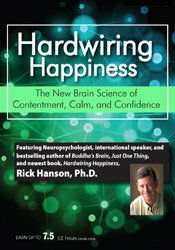 Featuring Neuropsychologist, international speaker, and bestselling author of Buddha’s Brain, Just One Thing, and newest book, Hardwiring Happiness, Rick Hanson, Ph.D.
Based on Dr. Rick Hanson’s latest book, Hardwiring Happiness, this workshop will present the four simple HEAL steps of taking in the good, which turn past experiences into lasting neural resources. We’ll explore how to use these methods to lower anxiety and stress, lift mood, grow confidence, calm, and contentment, and fundamentally, hardwire happiness into the brain. The mind shapes the brain: neurons that fire together, wire together. Positive experiences are the main source of the neural structures underlying positive mood, resilience, feeling loved, the executive functions, and other inner strengths. Unfortunately, most positive experiences are wasted on the brain because it evolved a negativity bias to help our ancestors survive. It’s like Velcro for bad experiences but Teflon for good ones. You will learn many practical ways to help your clients overcome this negative bias -which is disheartening, flattens learning curves, undermines compliance and progress in treatment, and fosters drop outs or relapsing - and instead draw upon the positive experiences available in both treatment and everyday life to weave strength and happiness into the fabric of their brain and their life. 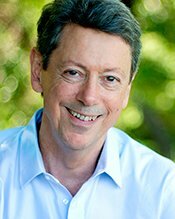 In addition to teaching general-purpose methods for deliberately internalizing positive experiences - taking in the good - the workshop will explore how to identify and use key resource experiences to soothe and even heal clinical issues related to the three fundamental systems of the brain: Avoiding harms, Approaching Rewards, and Attaching to others. These methods include how to skillfully hold both positive and negative material in awareness so that - “as neurons fire together, they wire together” - the positive factors connect with, dampen, and gradually replace the negative ones. The program will also cover applications to particular populations and needs, notably trauma, children, and addiction/recovery. Multi-disc DVD recording (6 hours) with electronic manual and instructions. Describe two aspects of the relationship between the mind and the brain. Name three types of inner strengths. Describe the three ways to engage the mind. Show clients the four HEAL steps that internalize positive experiences in implicit memory. List the four ways to use HEAL with clients or patients. Name our three fundamental motivational systems.